Since I was out of the country last fall, the autumn colors on campus took me completely aback this year. Every day I walk to class wide-eyed, as though the more I expand the surface area of my eyeballs, the better I can remember every leaf I see. 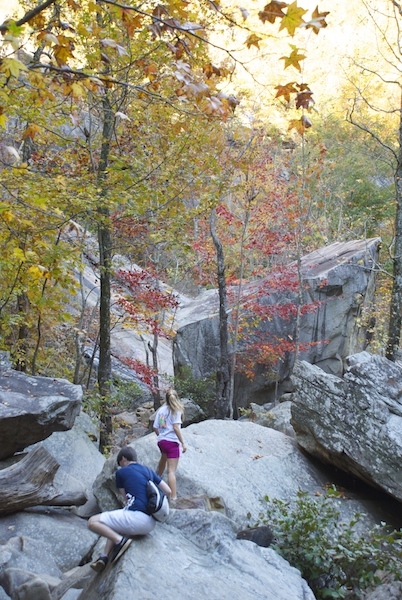 Few things are as becoming to UGA as fall. My school is beautiful. 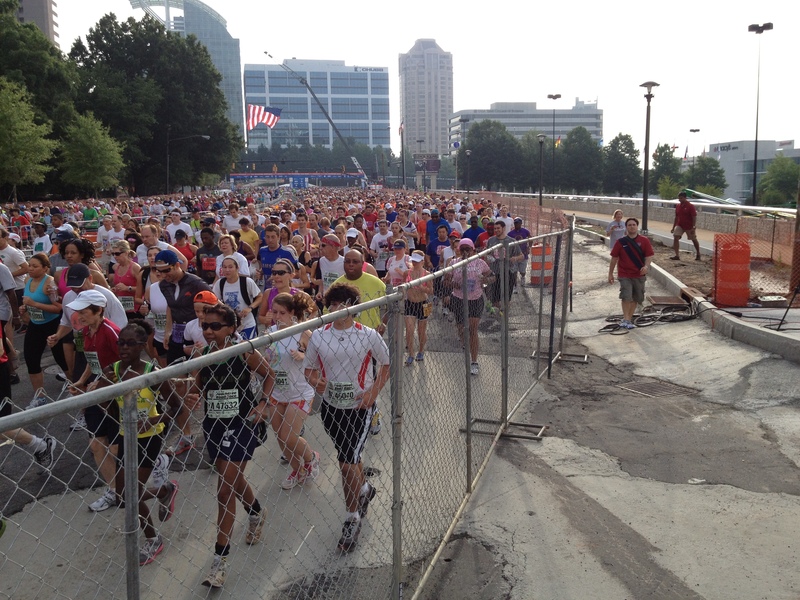 July 4 is probably not the day you would pick to run a casual 10k. But at 7:30am in Atlanta, 60,000 people were doing just that. The Peachtree Road Race has become something of a tradition in my family. My dad and I have been running it together since 2008. It follows Peachtree Street through the city of Atlanta, winding between buildings short and tall and streets lined with thousands of spectators (also short and tall), and finally ends in Piedmont Park. 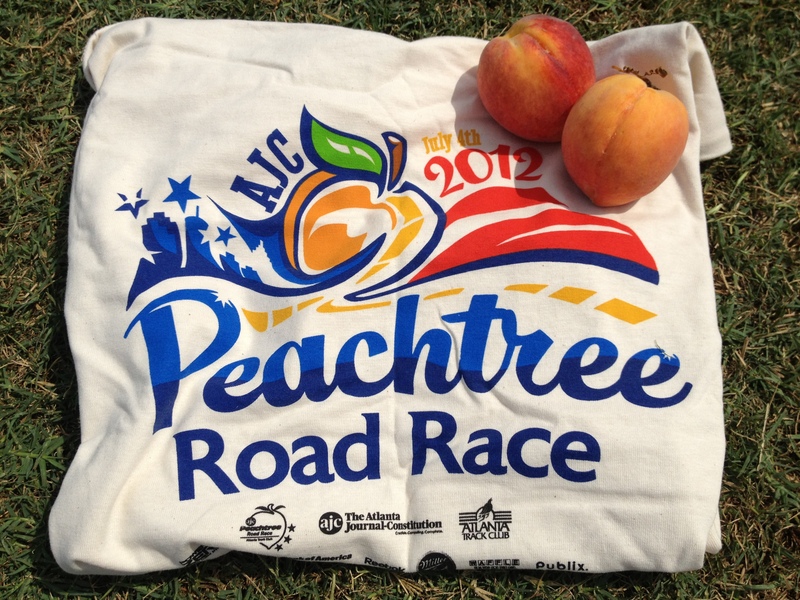 Yesterday’s Peachtree Race was my fifth, and decidedly less painful than Peachtrees past. The weather? Superb. Curbside entertainment? Stellar. And the finish-line peaches? Absolutely savory. 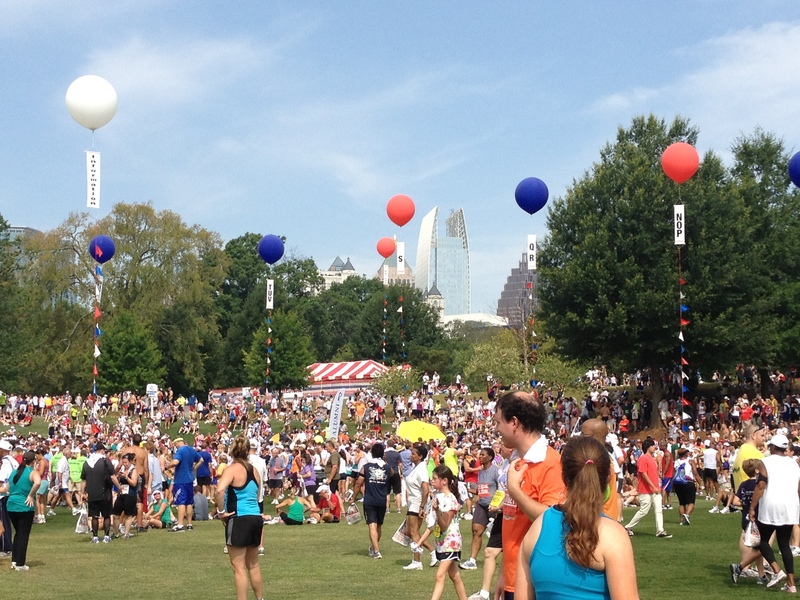 The finishing area at Piedmont Park, with the skyline peeking through the trees. We now interrupt this glorious account of European travels to bring you some red, white, and blue. 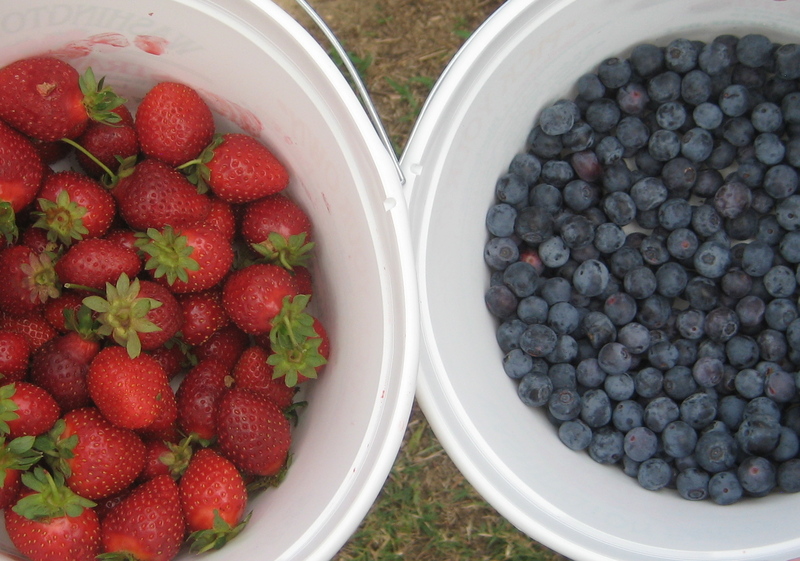 I went berry picking with a few of my friends and came back with two buckets and six stomachs brimming with berries. The strawberries burst with sunny sweetness, and rock the patriotism palate when you throw blueberries in the mix. Here’s to food, friends, the Fourth of July, and the country I’m proud to call my home!